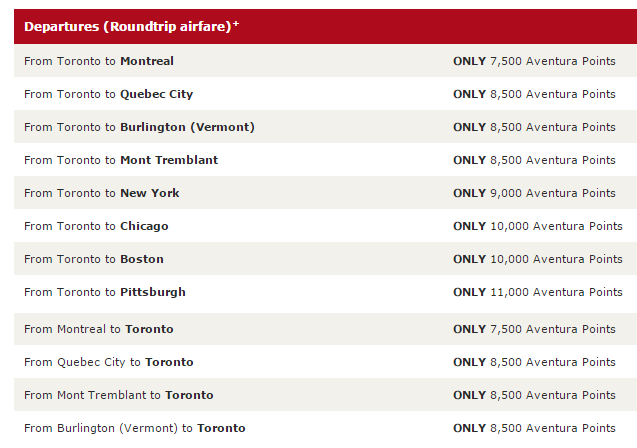 This Aventura offer is per person for a roundtrip flight on Porter Airlines. All flight bookings must be made between November 1 and December 31, 2015 for travel between November 16 and March 31, 2016. Travel must be completed by March 31, 2016 to receive this offer. This offer is not available for travel from December 16 to January 8, 2016. All flight bookings must be made at least 14 days prior to departure date.